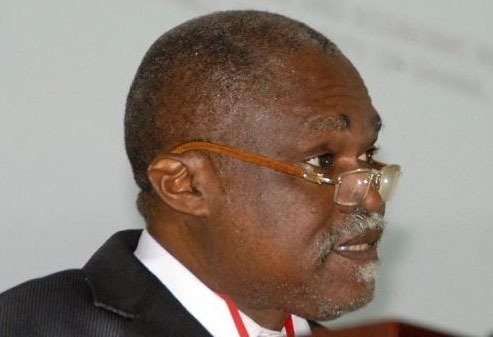 Prof. Dr. Daniel Buor, outgoing Vice Chancellor for Valley View University (VVU) has called on the West African Examination Council (WAEC) to apply stringent measures on all who are found to be in connection with leakages of examination questions. According to him, WAEC needed to ensure strict control in their dealings to prevent the examination process from compromise. Prof. Bour who made this call at Association for Educational Assessment in Africa (AEAA) conference in Accra on Monday, said strategies must be adopted quickly to overcome the social cacophony and menace that leakage of examination papers bring about. “Corruption has worked into the fabric of society, such that, it is weaving into the training process. The collapse of moral standards could compromise quality. There is the need for a search for new models and strategies that would break through creeping compromises and ensure quality,” he stated. He added that the recent trend in leakages of examination questions were induced by the desire for material benefits which in turn compromised on the quality of training in educational institutions. Prof. Bour disclosed that majority of Ghanaians blame examination leakages on WAEC with the suspicion that the main source of leakages was WAEC’s strong room where examination questions are printed. “The role of social media in the heated saga cannot be underestimated. The social media network easily spreads leakages from a source to a wider geographical space making the problem very difficult to address,” he said. He recommended that that the long chain that examination papers go through before they get to their final destination must be shortened by decentralizing the printing of examination questions in the various regions. The Minister for Education, Prof. Jane Naana Opoku Agyemang said the leakages of examination questions were generally caused by individuals who worked at WAEC. Such individuals she pointed out needed to be identified and brought to justice. She urged WAEC to engage the public constantly on the detriments of such a criminal act. It would be recalled that early this year, WAEC cancelled 5 papers from Basic Education Certificate Examination (BECE) after they realized that questions had been leaked and were circulating on various social media platforms especially Whatsapp. In a quest to control the situation, the examination body quickly called for a re-sit of those papers. The main purpose of the event which brought together various representatives across the globe was to promote co-operation among examining and assessment bodies in Africa.